India & China are good friends’ country and we interchange our advantages. China is a good market for India software; Vice versa, India is a big market for solids control equipment & mud system for China. As China & USA based leading manufacture for solids control equipment, GN export lots of equipment to India in the past years. 1) 4 set 40ft mud tanks. 1 set mud tank for recycling tank, 1 set mud tank for mixing tank, 2 sets mud tank for mud storage tanks. 2) 1 sets shale shaker & 1 set vacuum degasser mounted on mud recycling tank. 4) Other mud tanks with mud agitators, mud guns, mud hoppers, centrifugal pumps etc. 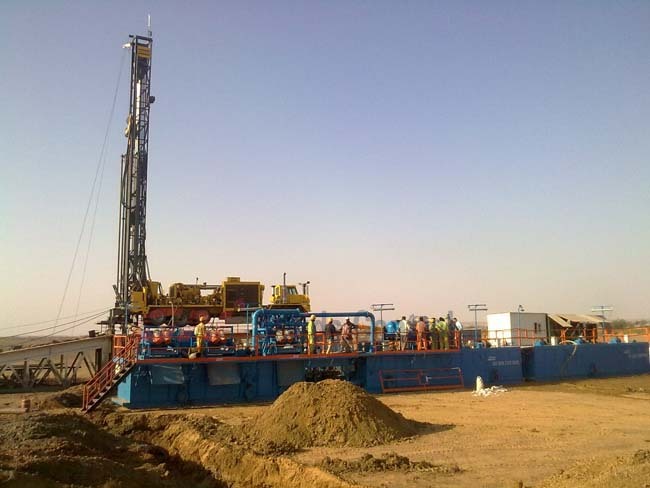 In year of 2009, GN export one set ZJ20 drilling rig mud system to India. This is two mud tank system with two sets shale shaker, 1 sets mud cleaner. The 500 GPM mud system is the 8th set complete mud cleaning unit we sold to India,GN has ever delivered one1500HP mud system,two 750 HP mud tank system,and three 800 GPM mud tank system,and one 500GPM mud tank system to India for the drilling industry.India is fast developing country for construction and CBM exploration as well as oil gas drilling. In year of 2015, GN export 2 sets GNLW363CG-VFD centrifuge to India Company for solids control service application. For more info, pls contact us- GN Solids Control. Pingback: GN economic separation plant for construction machine.